Named the Poseidon, after the Greek god of the Ocean, this five-star, luxury hotel, with its unprecedented underwater views, and world leading amenities, certainly promises a heavenly experience. 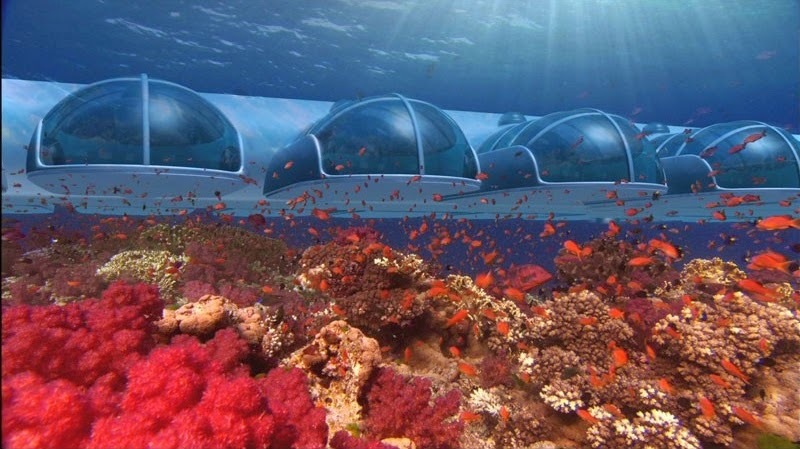 But with a guest list of 150,000 people, and the fact that it’s still not ready to open, despite a 2008 launch date, will this sea-floor holiday resort ever see the light of day? 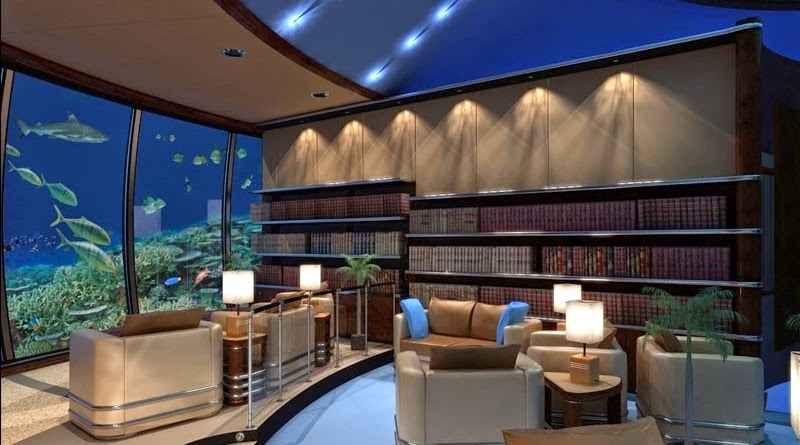 Already thirteen years in the making, the hotel boasts a library, lounge, theatre area, conference room, fitness centre, and a bar, in addition to two fine dining establishments, including one underwater and one firmly back on land. As the founder, L Bruce Jones (also the chairman of the Triton/US Submarine Company) suggests, the Poseidon is looking to reel in the ‘elite vacationer,’ which is just as well considering the £9000/week price tag. 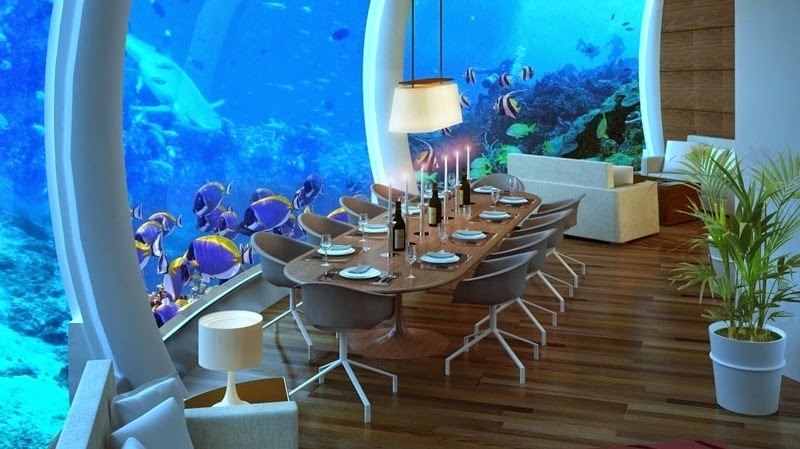 Guests can only reach the hotel via a reinforced lift from the shore, but once they arrive at one of the twenty-five pod-like rooms, they can relax in their own personal Jacuzzi while admiring the panoramic, underwater views granted by the wall-to-ceiling windows. 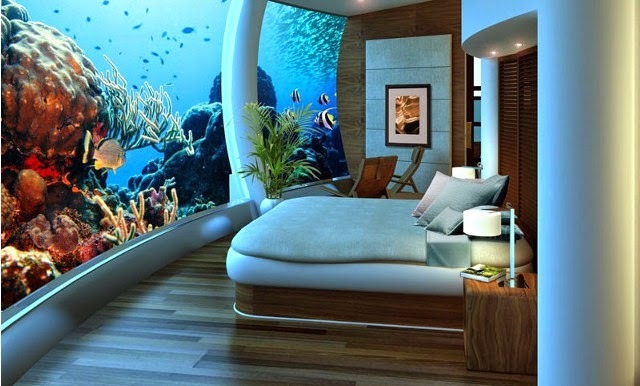 And just to ensure the marine wildlife looks its absolute dazzling best, each room will also have control of its own external lighting system – get the camera ready, 'trout pout' selfies guaranteed! For anyone doubting the safety of such a venture, an independent emergency life support system has been built into each room. Furthermore, many of the safety features have been directly taken from tourist submarines, which, as a spokesman for the Poseidon has testified, 'carry approximately one million passengers each year and have a perfect safety record, making them statistically the world's safest form of transportation.’ Still, let's just hope no lines are blurred between sleeping with the fishes, and sleeping with the fishes. Will the Poseidon ever open? Would you stay there if it did? Let us know your thoughts in the comment box below. One thing’s for sure; our ‘cerulean blue’ vests from the new Be An Athlete Pastel Collection, will go swimmingly well with the hotel’s underwater gym! Very thoughtful words, thank you and hope that you will give us more information soon. Thanks for very thoughtful words. Hope to get more soon.